An exciting, brand new exhibit exploring the visual and auditory patterns found throughout nature. Featuring fun activities for children that let you discover and create patterns in shape and sound! 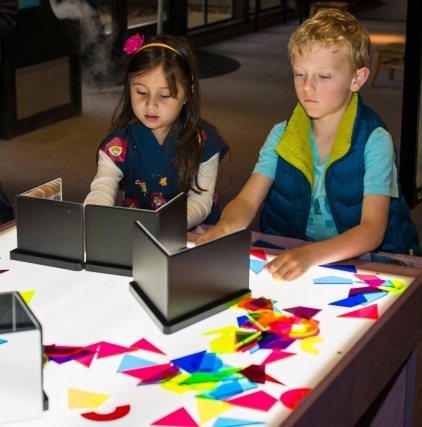 This serious science exhibition invites you to discover and create patterns found in nature. 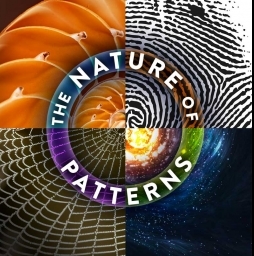 Explore visual and auditory patterns including symmetries, fractals, spirals, bubbles and foams, waves, meanders, flows, and spots and stripes. Each exhibit installation invites visitors to touch, hear, identify and celebrate the beauty of the science behind each naturally occurring pattern. The scientific concepts underlying each pattern are thoughtfully explained and artfully illustrated through individually crafted, interactive exhibits. "Best Museum on the Peninsula"
"Best Museum in the San Francisco Area"
CuriOdyssey is located in beautiful Coyote Point Recreation Area at 1651 Coyote Point Dr., San Mateo, CA 94401. It is easily accessible from Highway 101. From simple symmetries to chaotic flows, from spirals and tessellations to spots and stripes, the beautiful patterns of nature will amaze and inspire you.